Almost everyone is familiar with the story of true love, like Romeo and Juliet. A similar story also exists in the area of Bali. The love story that is not mere fiction, but it really happens that enrich the culture of the Balinese art and culture. One is the story of the romance between Jayaprana and Layon Sari. In the era of the Kingdom, there lived a handsome youth Kalianget named Jayaprna who had a very beautiful wife named Layon Sari. The King secretly Kalianget loves Layon Sari and eager to make his Queen. Because it has a husband, then the King of crafty and cruel attempt by trying to kill Jayaprana. The commandment of the King, dies in the hands of soldiers Jayaprana. But it turns out these conditions do not allow the King to be able to make the Layon Sari as his wife. Because he rejected loud in marriage by the King's scheming. Layon Sari and then take the road to suicide, following a beloved husband who have been in heaven. Teluk Terima is believed to be the location of the death of Jayaprana. Packed his wife and Jayaprana not far from the Gulf. The second tomb is made facing leading to the Gulf. The existence of Teluk Terima is approximately 12 kilometres to the North of Gilimanuk. Because of the loyalty of their romance, the tangle of society then glorify the beloved husband Sari and Layon, Jayaprana. The story of their romance became the symbol of eternal loyalty or symbols of love and love. A temple was found not far from the grave of their region, which is often used for prayer. 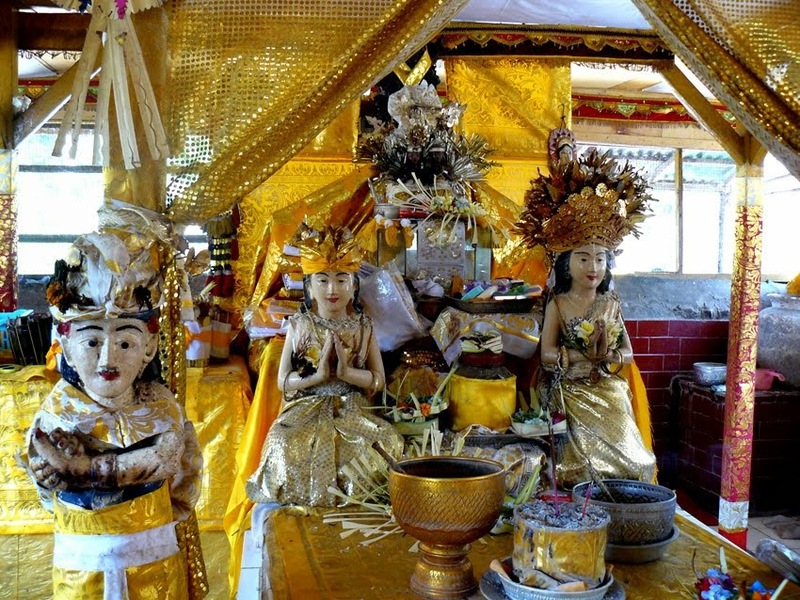 The entrance of makam Jayaprana and Layon Sari is open daily and admission is free for those who want to visit it. On any holy day Hindus, like brass and eating the Galungan, flooded with pilgrims who came from various regions. In order to get the extra power required the shrine, because of the steep region should climb. But during the journey tourists will be entertained with the beauty of nature around it that looks very nice. So that gives you a sense of tired not approached. A number of mountains in Java island and Menjangan Island look very beautiful when the route to the temple. After arriving at the complex, you can find a glass box. Statue of Sari and Layon Jayaprana are inside the glass box. To commemorate your trip could capture the beauty of the panorama in the temple. So that your vacation with loved ones to be very memorable. To get to the tourist area, you can head to the port of Gilimanuk. If using personal vehicle can go straight to the Singaraja, Gilimanuk. You can take a left direction towards path of Labuhan passing by. Follow along that road to meet up with the Gulf Receive the sign you've been near packed Jayaprana and Layon Sari.